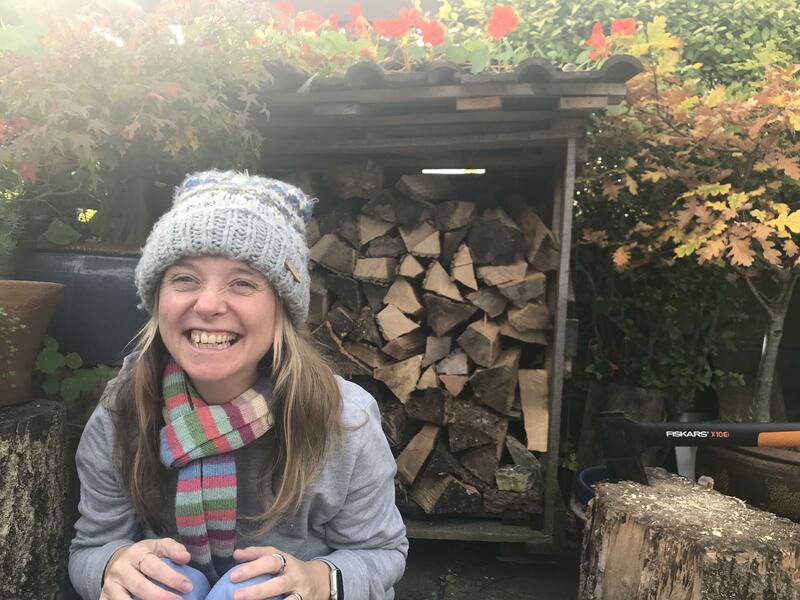 As I sit in my usual writing spot, overlooking my garden which is currently covered in snow, I wonder when will spring arrive? It’s overdue, and I think we’re all feeling done with winter. So I’ve decided that this snow is the last flurry of winter, one last hurrah before spring arrives in all it’s glory. Hopefully before the Purple family go on on a yurting holiday in two weeks! 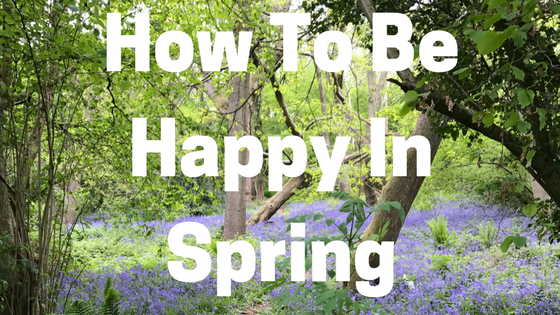 To prepare us all, here are my tips for how to be happy in spring. Appreciate the newness. I think it would make more sense to start our calendar year in March. Spring feels like a fresh start. Animals are having babies, bulbs awaken after their long sleep in the ground and spring flowers are everywhere. The world feels like it’s waking up after a long, refreshing sleep. So now’s the time to make those resolutions, or promises to yourself that I advised against in January. Start a yoga practise, resolve to drink more water, or redecorate that room you have been meaning to. It’s a good time for fresh beginnings. 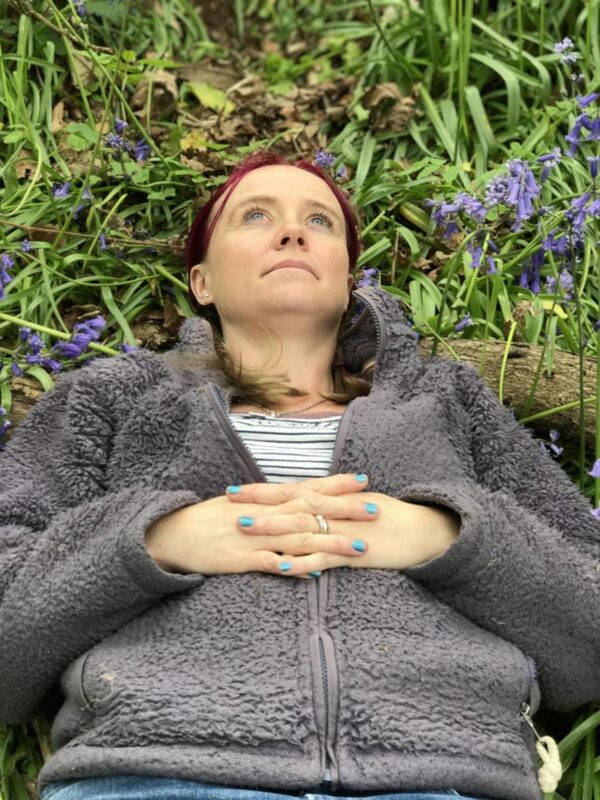 Visit a bluebell wood. We did this for the first time last year, it took some hunting to find, but boy was it worth it. It was absolutely magical, the children ran around in the sea of blue. I enjoyed the peace that comes with being in nature and reminding yourself that you are just a small part of a greater thing. Embrace the seasonal celebrations. Since I’m a Christian Easter is important to me. It’s the most significant event in the Christian calendar. Jesus was crucified on Good Friday and was resurrected on Easter Sunday, proving that he was not merely a teacher, but the son of God. If you aren’t a Christian there are still lots of fun things that we have traditionally come to enjoy around the Easter period. Hot cross buns, easter bonnets and chocolate eggs. Embrace the season and enjoy. Enjoy more daylight hours. The spring equinox is tomorrow (the 20th of March 2018) and with it comes more daylight, and less darkness. This has to be a good thing. More daylight equals less gloom, more vitamin D and more hours to do outdoor activities. Enjoy. Get outside. it’s good for us to be outside. Having endured a winter of wet, cold and muddy dog walks with Coco the Purple pup I’m really looking forward to some brighter days and sunnier walks. But even with the cold and the gloom I recognise that a daily period of being outside in nature has been good for me. Those of you without a dog may have spent entire days indoors hiding from the rain and the cold, so now is your chance to brush of the cobwebs, have a good stretch and get yourself outside. Whatever the spring season brings you I hope it’s a good one for all. Live in the moment, as much as you can, embrace the stuff that’s wonderful about you and enjoy.